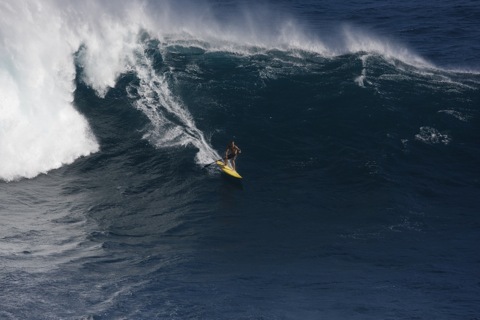 Famed waterman Laird Hamilton’s Maui residence near Jaws at Pe’ahi (MLS# 348779) “site of some of the biggest waves ever ridden” – is on the market for the first time. Hamilton chose the ten-acre parcel for its proximity to the legendary surf spot, to fulfill his dream of riding Jaws whenever it breaks. “I can hear it from my bedroom,” he says. 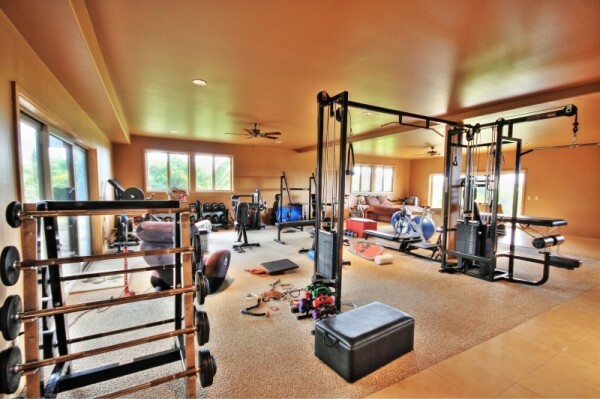 Featured on MTV’s “Cribs,” Hamilton’s property is more than his sanctuary – it’s his training compound: the entire first floor is a gym, and the 1,764 sq. 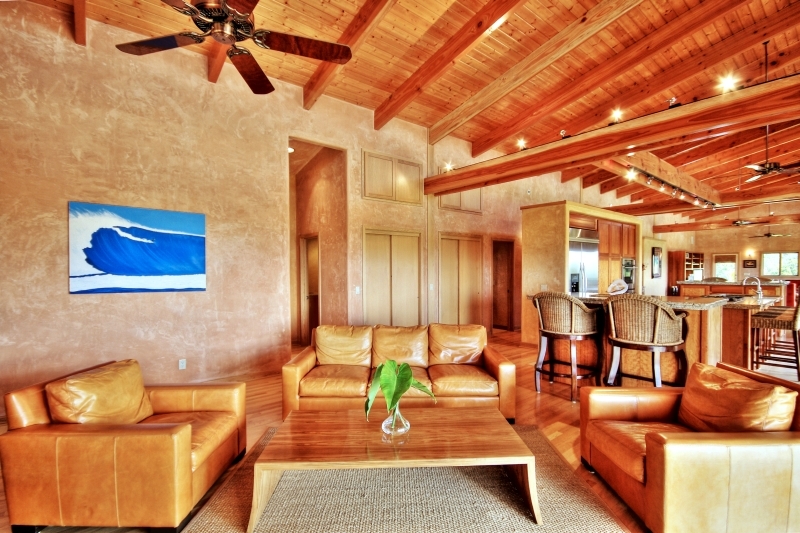 ft. garage accommodates six vehicles and a flotilla of watercraft. Just twenty minutes from the airport, nestled in a verdant, tropical valley with ocean views, the property was developed with self-sufficiency in mind. 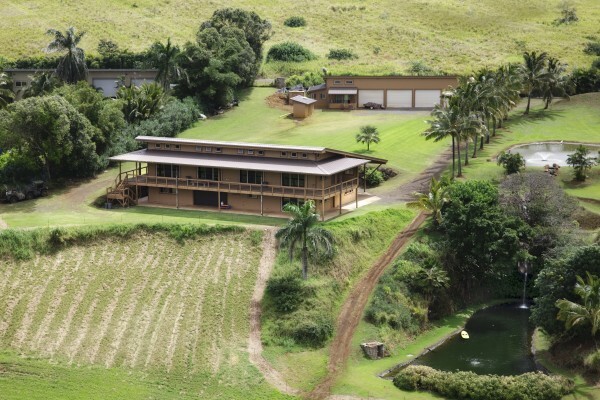 The parcel has its own well (in addition to County water), two large fishponds, and mature plantings of bananas, lilikoi, guava, and coconuts. The spacious, four-bedroom/four-bathroom 6,400 sq. ft. home has an additional 6,000 sq. ft. of covered outdoor space and a large barn. Landscaped with rock walls and royal palms, upscale interior finishes include Italian marble counter tops, oak, and limestone flooring, and Imperial plaster walls. This estate (MLS# 348779) is offered turnkey for $2,750,000. For details call Tiffany Kamaile Spencer, (RA). A top producer since 2005, Spencer represented the buyer in Kauai’s highest priced transaction in 2010, a $5M resort-style home on the island’s east shore.